Faaborg Museum owns a collection of work by three women artists – Alhed Larsen, Christine Swane and Anna Syberg. These three artists had something in common in that they had all married painters – Johannes Larsen, Sigurd Swane and Fritz Syberg respectively. Furthermore Christine was Larsen’s younger sister while Anna was Peter Hansen’s younger sister. Another shared experience is their education which occurred outside of the recognised art schools such as the Fine Art Academy and the more radical Artists’ Free Studio School. As youngsters Alhed Larsen and Christine Swane were taught by Fritz Syberg, while Anna Syberg along with others was educated at the Technical School in Faaborg by her father Peter Syrak Hansen. Anna Syberg is especially well-known for her floral watercolours which were shown in one of the gallery bays at the opening exhibition of the Museum in 1915. 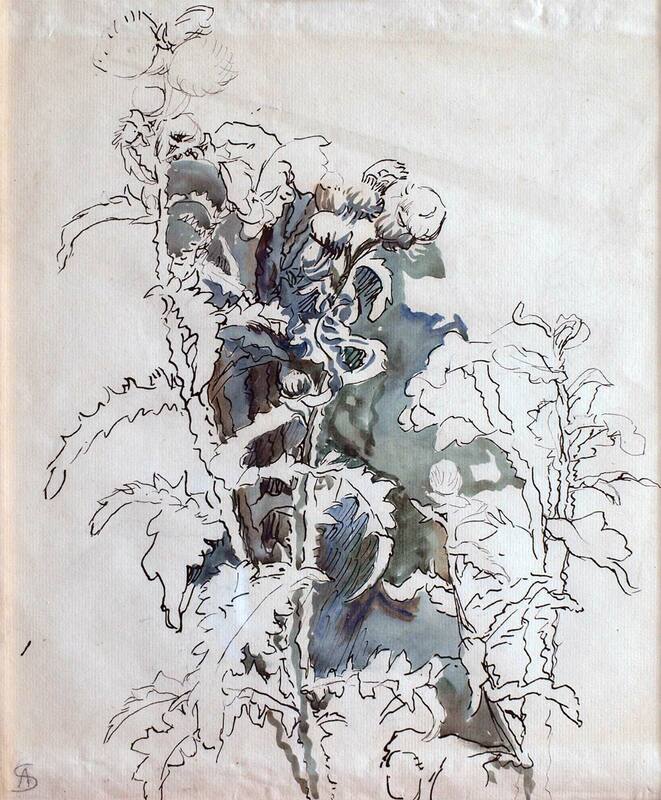 She closely recorded natural forms with a keen eye for colour. 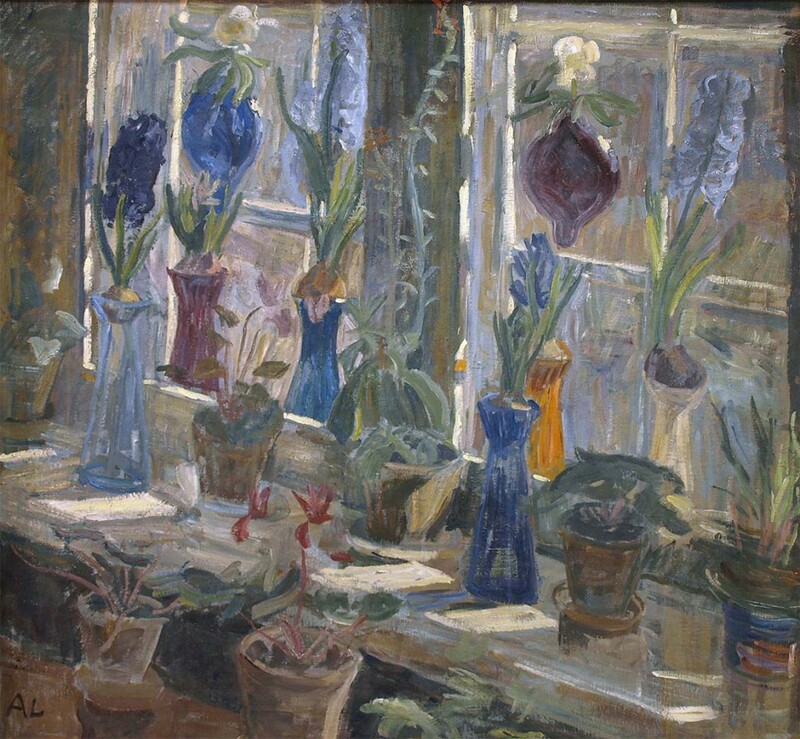 Amongst her subjects are both cultivated plants such as Provinsroser i en krukke (Roses in a Jar) (1909) and Hyacinter (Hyacinths) (1894) and also wild flowers like Tidsel (Thistle) (1909). Anna Syberg, Tidsel, 1909. Faaborg Museum. Anna Syberg, Provinsroser i en krukke, 1909. Faaborg Museum. Alhed Larsen painted flowers, still-lifes and interiors. 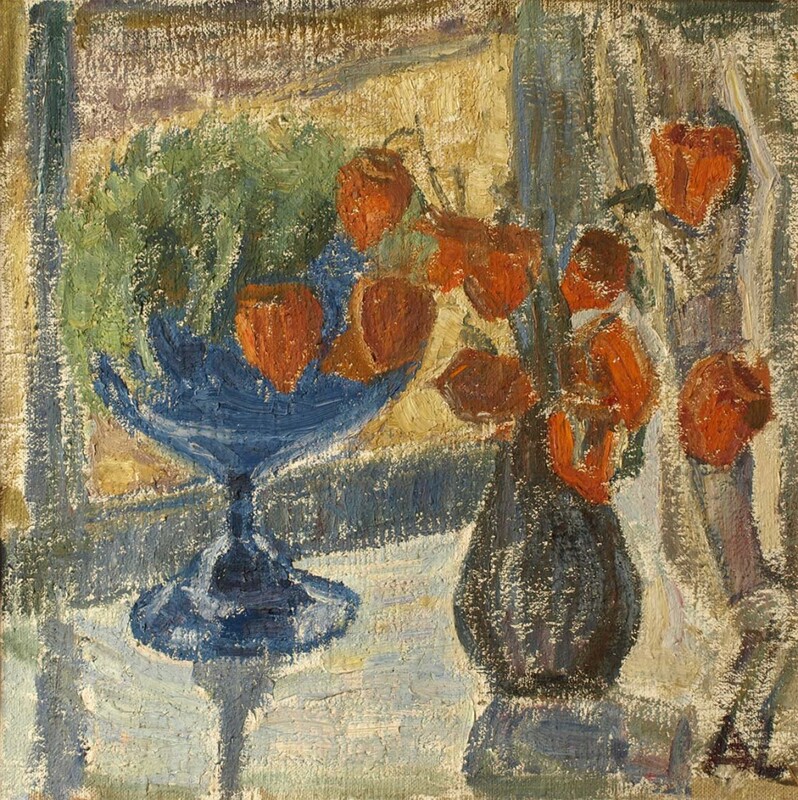 She is represented in the Faaborg Museum with amongst others Blomster i et vindue med solskin (Flowers in a Sunny Window) (1903) and Jødekirsebær (Winter Cherry) (c. 1927). While in these early works she is preoccupied with the interplay of light on the subject, her later works are of interest as they show a more abstracted expressionism. Alhed Larsen, Jødekirsebær, ca. 1927. Faaborg Museum. Christine Swane is known for her paintings of flowers and still-lifes but she also made a series of landscape paintings. Similar to Alhed Larsen she began with a direct representation of natural colours and forms, but inspired by French art she experimented with colour and decorative elements as can be seen in Akacietræet (The Acacia Tree) (1922). Christine Swane, Akacietræet, 1922. Faaborg Museum.